The front of the Mitsubishi Engelberg has a grille closed for the engine , a sharp LED headlights DRL, various chrome details and reinforcements for the basses. The thin roof-mounted box has automatic opening and closing function and incorporates additional lights for off-road driving. But what makes us most clear that we are facing a concept is the lack of door handles and mirrors , which have been replaced by cameras. 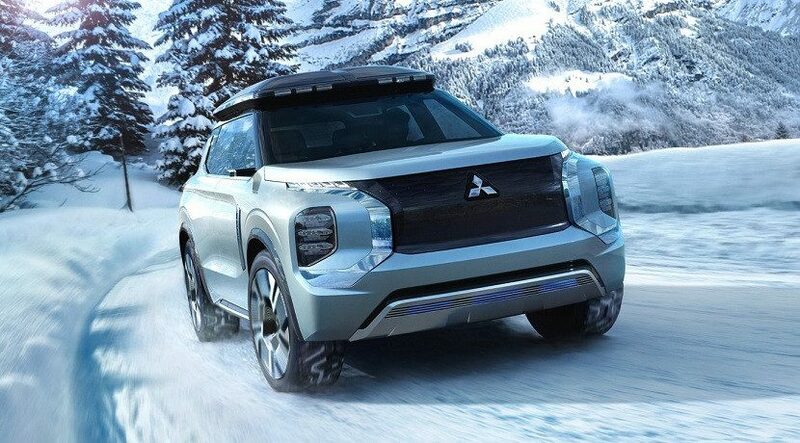 When you open the door of the Mitsubishi Engelberg you can see a spacious interior with three rows of seats , a white leather upholstery and blue ambient lights. The instrumentation has a simple design with digital watches and an infotainment system similar to a tablet. The controls in the center console are the air conditioning, the driving mode selector and the shift lever. 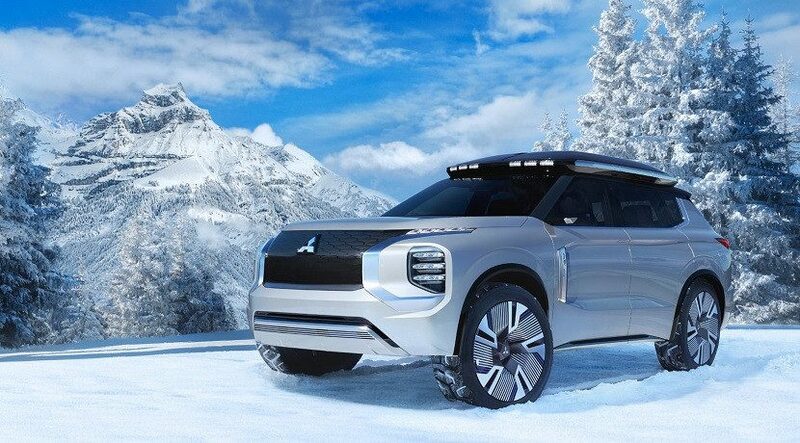 Taking advantage of the presentation of the Mitsubishi Engelberg, the brand has launched the Dendo Drive House (DDH). A technology that its managers describe as "a system that includes a plug-in hybrid or electric vehicle, a bidirectional charger, solar panels and a domestic battery". With it you can supply power to a house and a vehicle and manage the use of panels or the conventional power grid. A device very similar to Tesla, which combines the charger for the car, the domestic battery Powerwall and the solar roof. With this system Mitsubishi wants to reduce energy costs and reduce electricity bills.